The BFA Dance program prepares students to be at the forefront of dance innovation through performance, choreographic and critical historical and theoretical explorations. 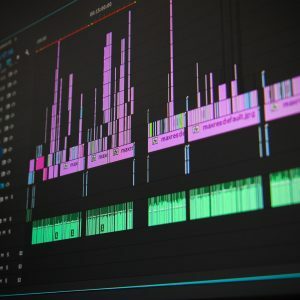 If you are a strong musician with interests in composing, electronic music, music production, and recording, this program will help you lay the groundwork for a career in new media. Peabody is excited to introduce an Early Decision process for select programs for Fall 2019 admission, which is a great option for those who have identified Peabody as their first choice. Early Decision will be available for any applicant applying to the Peabody/Hopkins Double Degree program, as well as our BM in New Media, BFA in Dance, and BM in Jazz. All early decision applicants will either audition/interview on December 2, 2018 or submit a recorded audition, and will receive their admission and financial aid decisions by December 15. 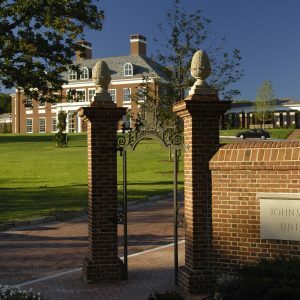 The Double Degree program offers a unique opportunity for students who are advanced both in music and academics to pursue a BM at Peabody and either a BA or BS at the Homewood School of JHU. Excellence in professional training is at the center of a Peabody education. 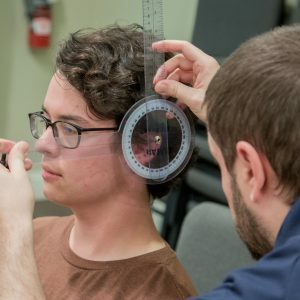 Your studio experience will form the core of your Peabody education, and the supportive academic program which has long been a hallmark of Peabody’s curriculum will equip you with a strong, holistic foundation in music and the humanities. "Peabody offers numerous highly-competitive scholarships in order to enroll the best and brightest while making a Peabody degree as affordable as possible. This past year we offered more scholarships than ever before, an increase of 24% over the previous year and an increase of 67% over the last two years. 90% of our incoming students are recipients of scholarship awards. The recent $50 million gift to Peabody’s endowment from Michael Bloomberg will allow us to help even more students afford a Peabody education beginning with those applying for Fall 2019 admission." As part of a series of events focused on occupational health and wellness, Peabody hosted a public screening of John Beder’s documentary, Composed. A great deal of preparation is needed to put together the music for an opera. 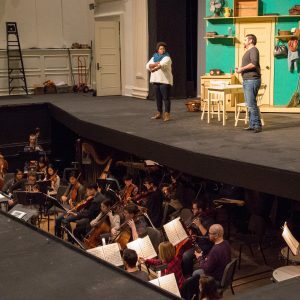 For the orchestra, opera playing presents unique challenges that differ from our orchestral experiences atop the stage. 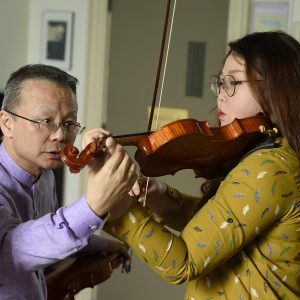 "Peabody continues to grow its world-renowned faculty who are charged with developing and maintaining the highest standard of music performance from our students. We are proud to have appointed 40 outstanding new faculty members to Peabody in the last 2 years alone."